[By Nick] Normally when a company offers to send me some of their products to try, I expect to receive anywhere from 4-8 pints. Well the folks over at Chocolate Shoppe had a completely different idea because they sent me 20 pints of their ice cream, including their whole line of Bang!! Caffeinated Ice Cream flavors. That’s a lot of ice cream for me to cover by myself, so let’s get started with two of their base only flavors. First off, I really like their logo. I mean, how can you not smile at a cow eating an ice cream cone? Their slogan “You want nutrition, eat carrots” is amusing as well. This is a company that really knows how important marketing is. Okay, ice cream time! Removing the lid off the vanilla, it surprising looks like vanilla! There are no vanilla bean flecks or yellowish hue you’d get from a French vanilla. It’s just as the name implies, Old-Fashioned Vanilla. Taste-wise, this pint is exactly the reason why I’m not much of a fan when companies send me base only flavors. Don’t get me wrong, it’s a really well executed vanilla but there’s only so much I can say about it. It doesn’t have that extra punch you’d get with a vanilla bean but like most vanilla ice creams, it sparks a flashback to your childhood. 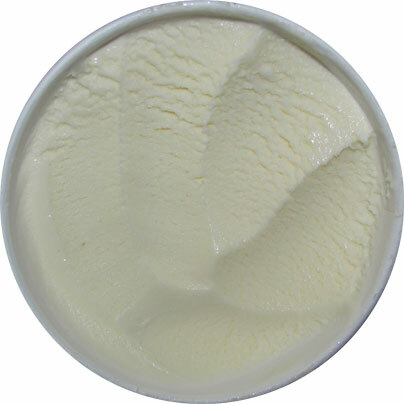 The plus here is that the vanilla flavor is all natural and the texture is exceptional. It’s very thick and creamy, almost rivaling the texture of some gelatos I’ve had. Also, the richness is amazing and way better than what you’d get from Ben & Jerry’s or Haagen-Dazs. This is by far an upgrade from the ice cream you were eating when you were little. Vanilla ice cream, while very basic, can be very comforting and that’s exactly what you get here. I can’t say I have any complaints with this one for what it is. They also make a vanilla bean flavor so I can’t knock them based on my preferences of a stronger vanilla bean presence. While not being my favorite vanilla of all time, I wouldn’t refuse a scoop or two. Okay, on to the flavor I’m excited to try. Why am I excited about this flavor you ask? Well it took First Place for Dark Chocolate Ice Cream at The World Dairy Expo this year (yeah, that exists), edging out my hometown favorite Stewart’s. Now not all companies took part in the expo, such as Jeni’s, but that’s still a remarkable feat. If you place #1,you must be doing something right. Time to open this baby up! Disregard the fact that one side has sunken in a little, instead look at how dark and fudgy this ice cream appears. 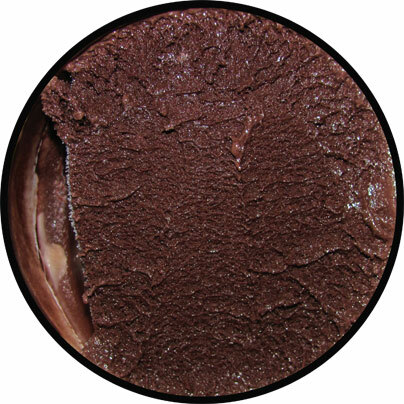 From now on, I want all of my chocolate ice cream to be this color. There’s also a distinct dark chocolate smell coming off this one which is always a plus. After taking my first bite, I’m a little let down. The flavor isn’t quite as dark as I was hoping. Once again, don’t get me wrong, this is an excellent ice cream but for the reigning #1 Dark Chocolate Ice Cream, I was expecting way more of a dark flavor profile. Sure there’s no mistaking this one for milk chocolate but there needs to be more of a bitter presence. Not all is lost as there’s still an awesome fudge-like taste. This translates well with the texture since it’s thicker than your standard ice cream. Sadly it doesn’t have that chewiness that makes Jeni’s Dark Chocolate so good. Like I said before, this is an exceptional ice cream but I think I hyped things up a bit with it being #1 and all. If we’re speaking dark chocolate only flavors, this wouldn’t rank all that high for me. This might be a hometown bias, but I’d rank Stewart’s ahead of this one. However if we’re talking chocolate ice cream in general, Zanzibar would easily be in my top 5. Verdict? Base flavors done right! Buy Again? I’d buy the Vanilla for use in a sundae but I’d easily buy Zanzibar as a standalone flavor. @Josh: Glad to hear your excitement. Sadly, they didn't send me your two favorites though Fat Elvis sounds epic. They did send me Blue Moon so keep an eye out for a review of that one in the near future! I am so jealous! 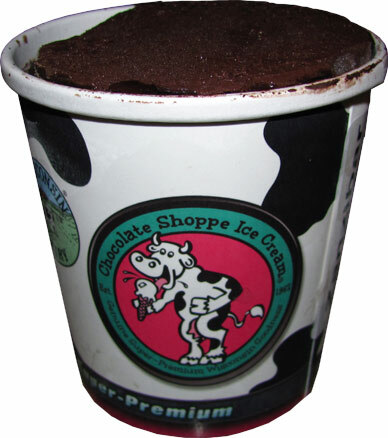 I am from Minnesota/Wisconsin so grew up eating Chocolate Shoppe and it is still my favorite ice cream brand. 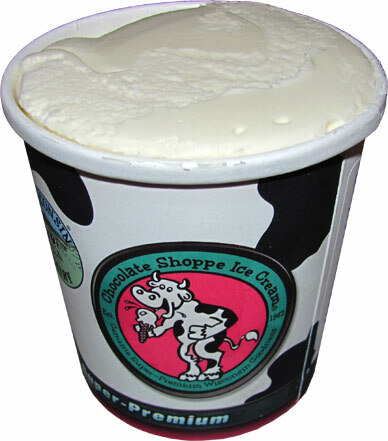 Their Peanut Butter Cup, Mackinac Island Fudge, and Cappuccino Break flavors are delicious. Out of those three, they only sent me Mackinac Island Fudge. I have to say, I strongly agree with you on that one and keep an eye out for a review in the future as well! Nick, a little off topic, BUT: do you have any access to Publix in your area? If so, you should check out their Espresso Chip frozen yogurt. It's the best coffee flavor I've had. They do a seasonal version that's ice cream rather than fro yo (Santa's White Christmas, I believe) -- I haven't had that version. The frozen yogurt is amazing, and I'm not usually a huge fan. @Anon: I live in New York so I sadly don't have access to Publix. I used to have a house in Florida which had one in close proximity but never got around to trying their ice cream. next time I'm visiting family down there I'll have to give it a try.